INNERCAP Technologies is actively pursuing opportunities in all therapeutic areas that can benefit from our multi-phase, multi-compartment capsule delivery system. The delivery system will be used for human and animal applications. It is INNERCAPS strategy to partner with other companies to development products and bring them to market. INNERCAP seeks combination drug products that provide meaningful patient, healthcare provider and physician benefits, and will be responsive to effective marketing campaigns. INNERCAP will consider a range of transaction structures including product licensing, co-promotions, distribution arrangements, royalty-based transactions and partnership arrangements. Our company philosophy is built around providing solutions to patients, healthcare providers, physicians, research and development through the development of combination drug therapies. We also offer partners the benefit of a strong intellectual property position, in relation to the INNERCAP delivery system and a range of delivery targets. INNERCAP will develop strong mutually beneficial relationships with other companies that enjoy the same collaborative spirit. 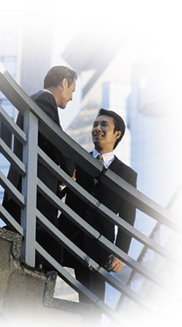 INNERCAP’s partners will achieve the same successful goals that are mutually beneficial. There are currently twelve combination drug products in the top 200 selling pharmaceutical products. There are also over two hundred “OTC” pharmaceutical products on the market today. This supports the acceptance of combination drug therapies by physicians, patients, insurers and the Food and Drug Administration. With an aging population and healthcare costs on the rise, the healthcare industry will look for pharmaceutical products that increase compliance and decrease healthcare costs.